A 5 Part video series which highlights some of the most fascinating new age information concerning the nature of reality and earths hidden history. A lot of the information is kept hidden from the public, and these videos explain why. 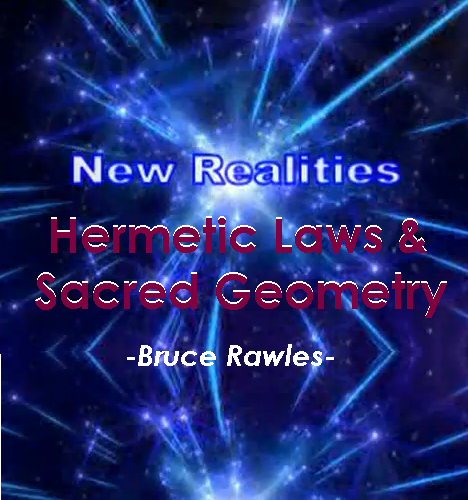 Part 1 talks about Consciousness, Sacred Geometry, Cymatics, the Illusion of Reality. Part 2 explains the Fibonacci Sequence, Golden Ratio, Phi in Nature, DNA, Fingerprint of God. Part 3 reveals some interesting facts about the Pyramids, Monuments & Megaliths, Ley Lines (Earth's Energy Grid). Part 4 examines the Real Secret Of How The Pyramids Were Built and amazing facts about Coral Castle. Part 5 details the Scientific & Historical Misconceptions, Suppression & Manipulation of Information. Part 6 discusses Magnetic Forces, Sacred Sciences, Anti-Gravity. "The Ancients" knew much more than given credit for regarding Life, The Universe, Astronomy, Advanced Mathematics, Magnetism, Healing, Unseen Forces etc. Encoded knowledge is information that is conveyed in signs and symbols and we can find this knowledge all over the world. All these ancient sightings and geometric patterns (Sacred Geometry) symbolise unseen forces at work. We are being lied to by the media. Modern archaeologists don't know what they're talking about. "The Ancients" were not stupid or primitive. We just failed to de-code this knowledge conveyed in signs, symbols and ancient artwork. This kind of information is kept hidden from the public. The whole universe was created through this sacred pattern. It is the sacred symbol of unconditional love. If you visualize a light field of this holographic pattern around you that extends through your body cells, and anchor it in your heart, then you are indeed activating your true being of unconditional love.